Do you know what is core to the success of your company? It’s your customers. But, not just any customer. The core of your company’s success is due to happy customers. Happy customers stay with you longer. Happy customers make you profitable. It’s not easy to make customers happy these days. It’s because customers have become very demanding! Customers want answers now, not tomorrow. They expect you attend to them at their every need, without delay. And the longer it takes to respond, the more likely it is that the customer will leave, according to research by Ipsos Mori. It’s no wonder that companies are feeling overwhelmed! That is, they want their questions answered and their problems solved quickly. 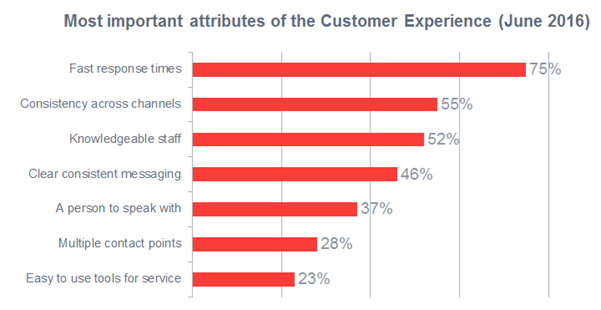 In fact, the most important attribute of the customer experience is a fast response time. And what happens if you fail to meet your customers’ expectations? They will share their complaints with hundreds, if not, thousands of social media connections. Or worse, your happy customers will leave. So, how do you make your customers happy? And how can you respond faster? Fortunately, there’s a solution to this. And it’s called customer self-service. Self-service allows you to provide online support to your customers without requiring any interaction with a representative from your company. The most common types of customer self-service include FAQs, knowledge base and online discussion forums. Self-service is no longer a “nice to have”. It’s a necessity to providing a positive customer experience. In fact, it has become so important that 70% of customers now expect a company’s website to include a self-service application. Long gone are the days when a phone call was the only option to reach a support team. In fact, 40% of consumers now prefer self-service over human contact. And a study conducted by Dimension Data found that 73% of customers prefer to use a company’s website, instead of using social media, SMS and live chat for support. When a customer encounters a problem with your product or service, their first thought is no longer to pick-up the phone. Instead of speaking with a support representative, they now want to find the answers online themselves via an FAQ article, how-to video or a knowledge base. It’s this kind of online behavior that has driven companies to implement self-service solutions. But surprisingly, 55% of customers find web self-service portals difficult to use. If the self-service portal is not easy to use, then your customers won‘t use it. It‘s as simple as that. That‘s why in this blog post, we‘re sharing 5 essential tips to help improve your customer self-service portal. One of the most important ways to make your self-service portal become a valuable resource is by identifying the top reasons why customers are contacting your support team. Do your customers have problems with their passwords? Do your customers call in to support to find out where they can manage admin settings? Your customers should be able to find the answers to these questions in your self-service portal, without having to look too hard. Make it easy to find by adding the most popular FAQs to the self-service home page. In the SuperOffice Customer Center, we include a link to the FAQs within the main navigation menu, as shown below. Step by step instructions are great for building furniture, but can become a challenge when your customer has to switch back and forth between the self-service portal and your product or application. Remember that old saying “a picture is worth a thousand words?” Well in this case, it really is! Take screenshots to visually show the customer the place where they need to click on, or how to update/ edit settings. You can even go one step further and record a video/ webcast to walk the customer through their solution step by step, which they can then playback as many times as necessary. A knowledge base or FAQ section is not a “set it and forget it” project. This means that the content on your self-service support site is never really finished. You need to continuously improve your knowledge base to make sure your self-service portal is working as hard as it can for your customers. 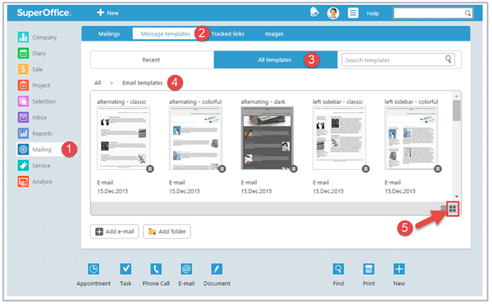 A great example is the new user interface we introduced to SuperOffice CRM in the Fall of 2015. By completely redesigning the product, it meant that all of our self-service support material also needed to be updated, including how-to videos, tutorials and screenshots. This was no easy task, but it’s important to us that when a customer is looking for a solution, they can access helpful and relevant content and not material for an outdated product. In the example below, you will see that on the left is a screenshot of SuperOffice 7 and on the right is a screenshot of SuperOffice 8. Since launching the new design, we have updated the top FAQs, created new how-to videos and tutorials, and updated our own support portal so that customers get the right content when they need it. Once your customers find the way to your self-service portal, make sure that the self-service portal is easy to use. Sounds obvious, right? Thanks to Google, Ebay and Amazon, the search field is one of the most commonly used features on the web. Therefore, your customer self-service portal should include an easy-to-use search field. Sounds obvious, right? Apparently, it‘s not so common. In fact, 63% of customers say they are annoyed with the search field found in self-service portals! This is not so much to do with the search field bar itself, but more to do with the search results. Customers don’t want to wade through hundreds of pages looking for an answer. They’re demanding. They want answers fast. So how do you avoid upsetting your customers? A great way to handle this is to use tags and tag pages with specific keywords. For example, if you have an FAQ article on how to reset your password, you can use the tag “password”, or “password reset”. This means that when a customer types in “password reset” in the search field, the correct answer is returned (as shown below). Using a search field is a great way to identify “content gaps” that need filling. Monitor the searches made by customers and then simply create a piece of new content for those keywords that don’t have a match. The second most important attribute to delivering a great customer experience is to provide consistency across all channels. One way of doing this is make it easy and allow your customers to access your self-service portal on the go. However, if your self-service portal is not mobile friendly, then your customers are less likely to use it. According to a survey conducted by BaseKit, 91% of websites are not mobile-friendly. This means there is a huge opportunity to stand out against the competition and provide a superior customer experience, simply by making your self-service portal mobile friendly. A self-service portal that provides helpful content will create a better experience for your customers. However, the benefits don’t end there. A self-service portal can even reduce customer support costs. How, you ask? An in-depth study by Forrester Research and Oracle analyzed business costs when handling support in multiple customer service channels. 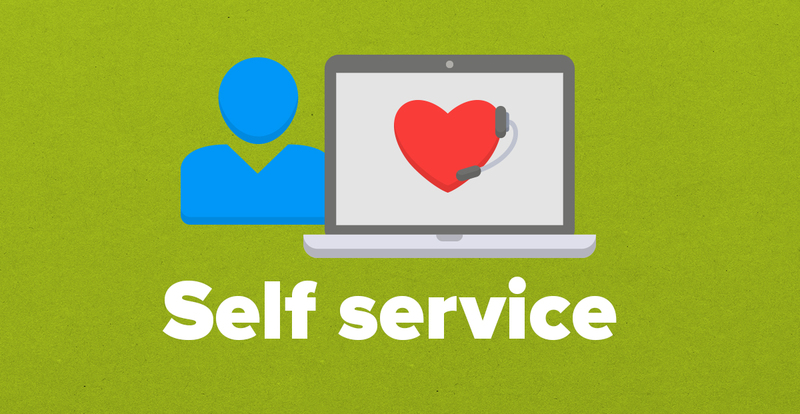 The results found that web self-service can reduce costs by as much as $11 per call! Now imagine you receive 3,000 calls per week, and you could be saving $1.7 million per year! This number is not as far fetched as it appears. Research by Accenture found that by adding self-service, companies could see $1-3 million in annual savings! So, how much investment is required to launch a self-service portal? The cost is a lot lower than you might think. 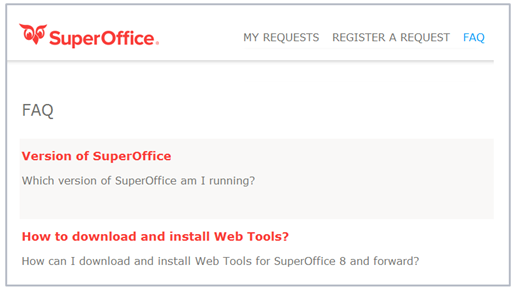 In fact, web self-service is included in SuperOffice Service. Try SuperOffice Service free for 30 days. Today‘s customers are not just ready for self-service; they actually prefer to use it over other forms of support! But, a customer self-service portal is only effective if you make it easy to use. To achieve this, your customer service knowledge base and FAQs need to be easily accessible, up to date and visual through the use of images and videos. The self-service portal needs to be organized. Organization comes through tagging pages so that search results pages return the most accurate answers. And finally, all content within the self-service portal must be optimized for desktop, tablet and mobile users. When self-service support is done right, it allows the customer to find information quickly, can reduce the number of calls or emails your support team receives and lead to a greater customer experience. And that is how you keep customers happy! What ideas do you have for improving a self-service portal? P.S. If you like this article, you can easily share it here The Value of Customer Self-Service in the Digital Age! When it comes to customer self service portal, consumers really love to search first online, they prefer self-service but the important thing is they don't have much patience. Only few consumers search for a long time to get their answers but that is fact that more than 70% consumers search first when they have any questions for a company. When they don't feel content, they go for a phone call, or email. Self-service portal offers the very precise service what the most consumers prefer. The portal can be easily accessed at all hours the day. Customer self-service portals are secure mediums of communication as they have login IDs and passwords. Good article! Self service is certainly providing people the same type of comfort they feel at home where they use their phone to search and purchase as they wish.